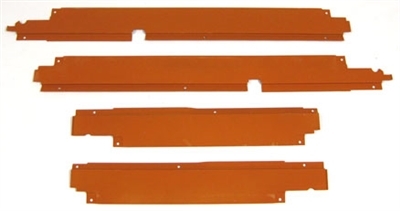 All new Golden Star reproduction Rocker Panel Top Covers fit 1955-57 Chevrolet 4-Door Hardtop. It is an exact replica of the original and comes coated to prevent rust and provide a cleaner restoration. Designed to offer the finest in OE quality & fit.